Every 3.6 seconds someone dies of malnutrition or starvation. In NJ and NY, one in five children relies on food stamps to provide daily meals. 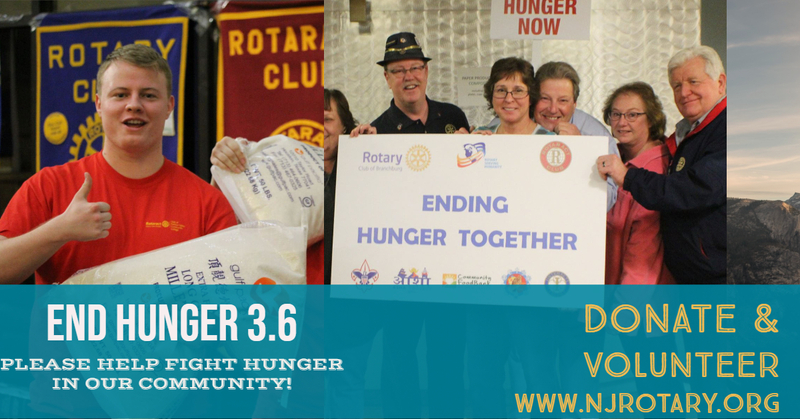 On Saturday, March 30, 2019, District 7475, will package 150,000 + meals for distribution to the New Jersey Salvation Army, local food banks and other organizations in our District totaling 30 sites to feed the hungry in NJ. The cost per meal is 25 cents. The more money we raise, the more meals we can provide. Please click the buttons below to donate and volunteer. Our goal, with your help, is to raise $45,000 to fund over 150,000 meals to feed 900,000 children who are suffering from hunger. Suggested donation of $10 per person and Or $25 per family and $100 per community non profit organizations. Rotary Clubs can be a sponsor of this event with a $1000 donation for this event. I’m not apart of a club but I hope I’m still able to participate. My daughter Farisha Rahman and myself will be there from ISBR. Thank you.